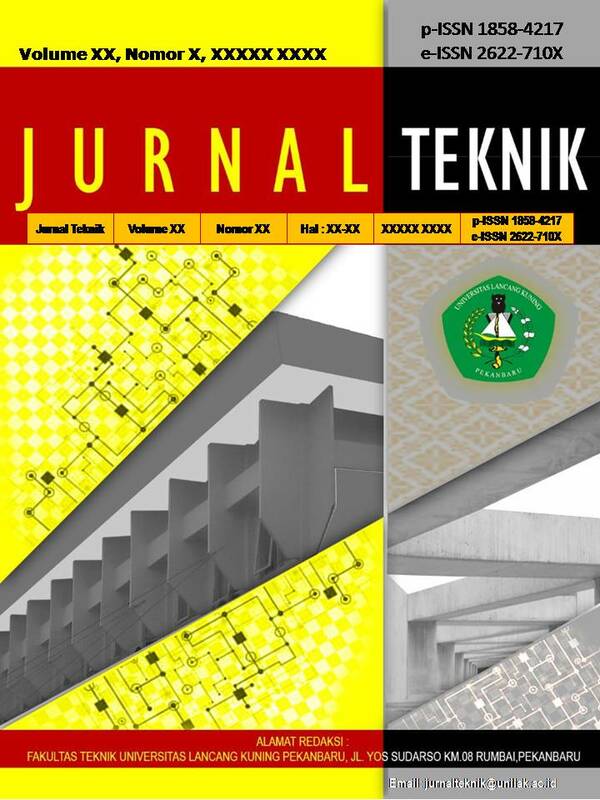 Jurnal Teknik is a journal in the field general of Electrical Engineering, Civil Engineering and Architecture . The articles published in this journal that have gone through a review process by reviewers. Published twice a year, in April and October. 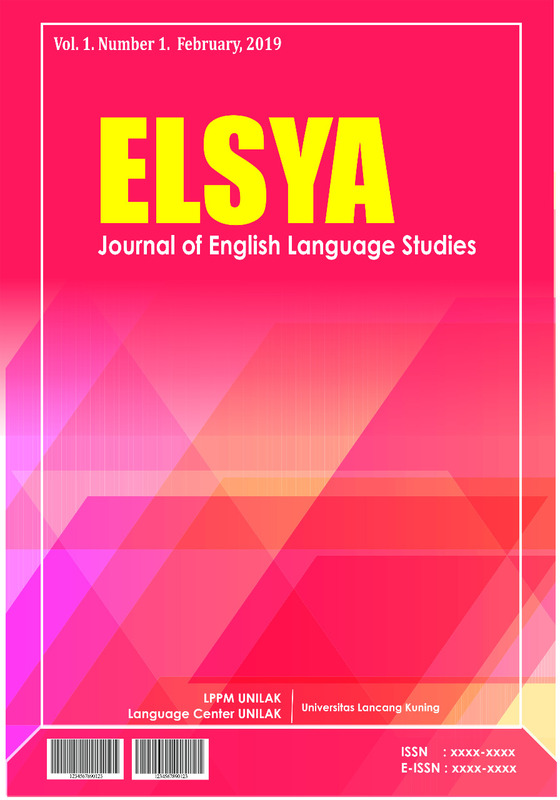 This Journal is open access for all user. 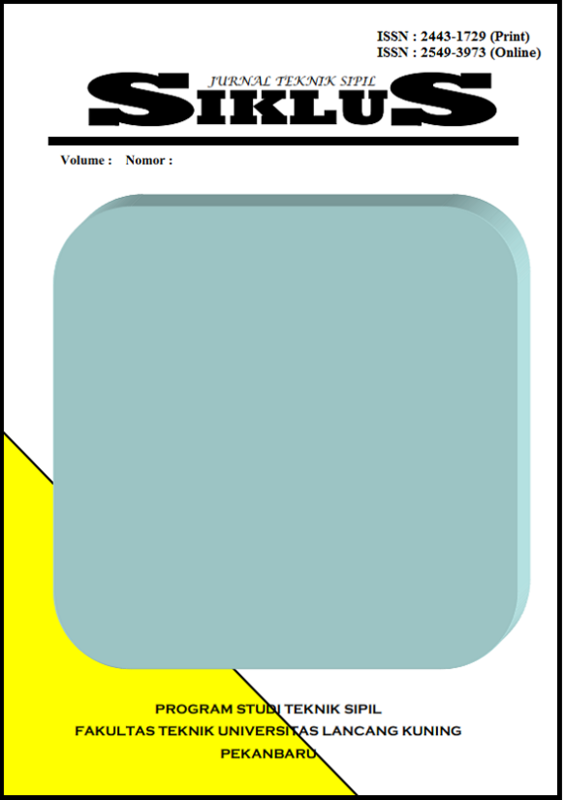 Bio-Lectura is a scientific journal containing research articles in Biology education scope. Bio-Lectura is published twice a year (April and October) by Faculty of Teachers Training and Education University of Lancang Kuning. Now, Bio-Lectura has been indexed by Google Scholar. 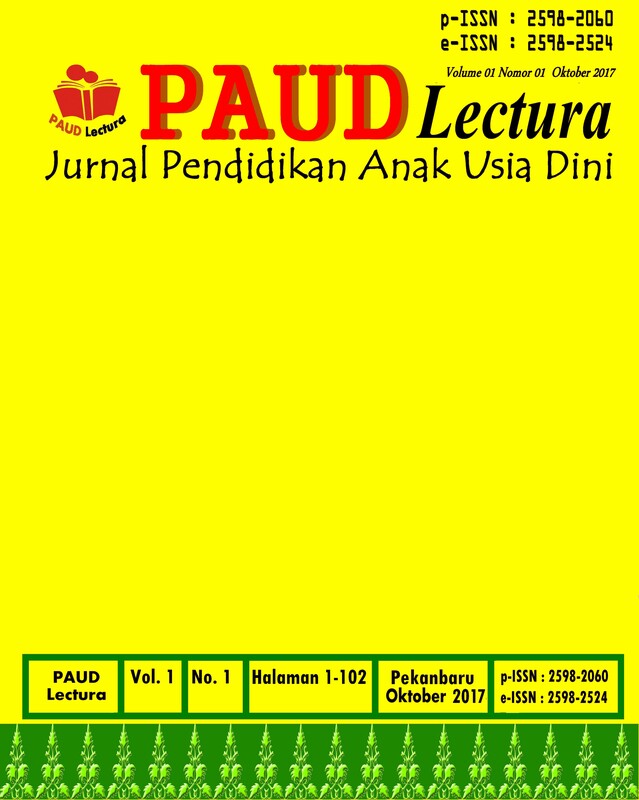 Lectura: Jurnal Pendidikan (p-ISSN: 2086-4876, e-ISSN: 2549-063X) is a scientific journal containing research articles in education scope. 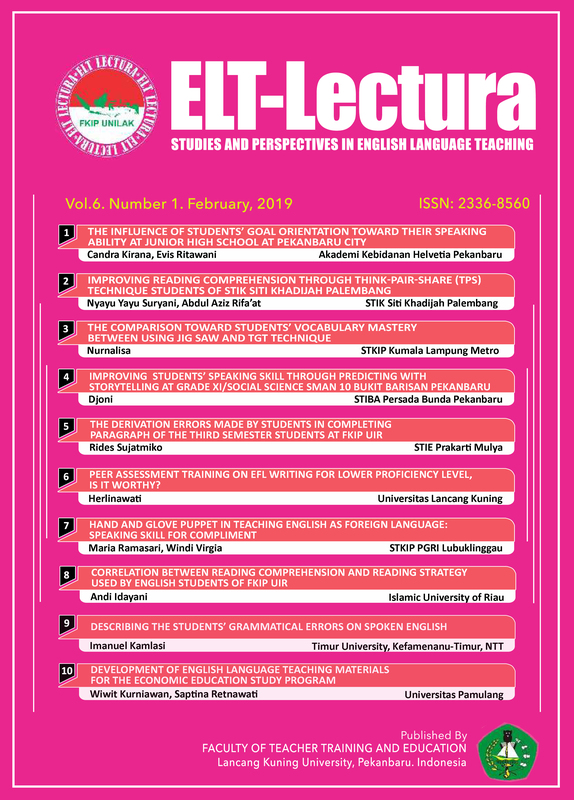 Lectura: Jurnal Pendidikan is published twice a year (February and August) by Faculty of Teachers Training and Education University of Lancang Kuning. Now, Lectura: Jurnal Pendidikan has been indexed by Google Scholar, Directory of Open Access Journal (DOAJ), Crossref, Garba Rujukan Digital (GARUDA) which is formerly known as Indonesian Publication Index (IPI), Dimensions, Vancouver Public Library, Indonesia OneSearch by PERPUSNAS, BASE, ROAD, Harvard Library, WorldCat, SOLO (University of Oxford), CORE, Standford Libraries, StarPlus (The University of Sheffield), and many more. 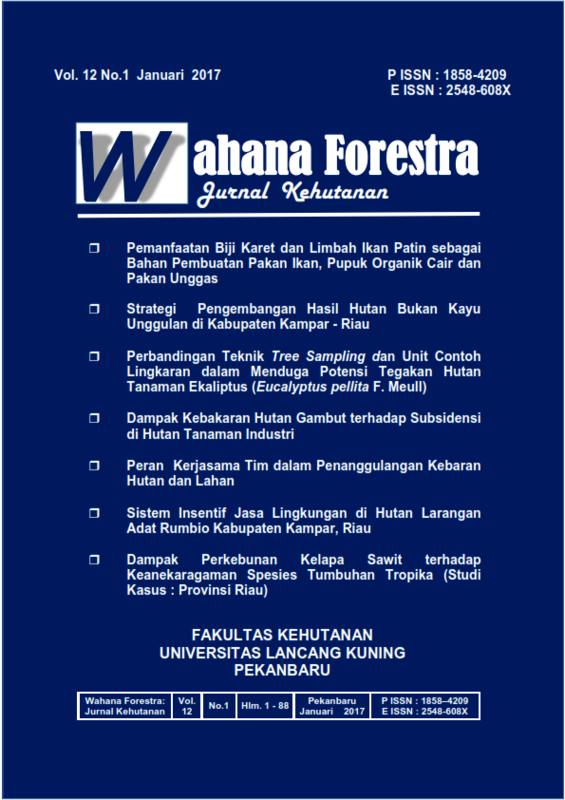 Wahana Forestra: Jurnal Kehutanan (Online ISSN: 2548-608X | Print ISSN : 1858-4209) published by Fakultas Kehutanan, Universitas Lancang Kuning Pekanbaru. Topics covered, but not limited to, include forestry, environtment, agroforestry, forest product, forest conservation, silvyculture, social forestry. 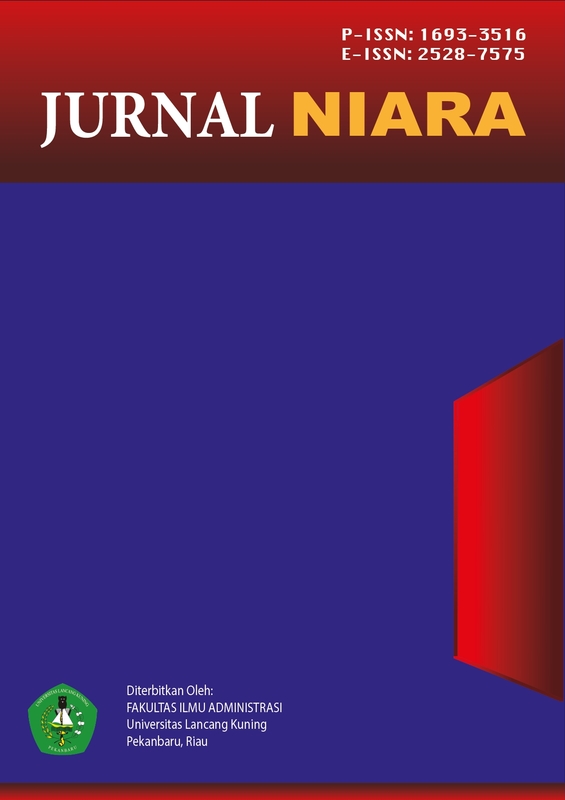 Jurnal Niara are educational and professional journals for educators and professionals, who want to pour their scientific work with an app analysis study and library discussion on public administration issues. 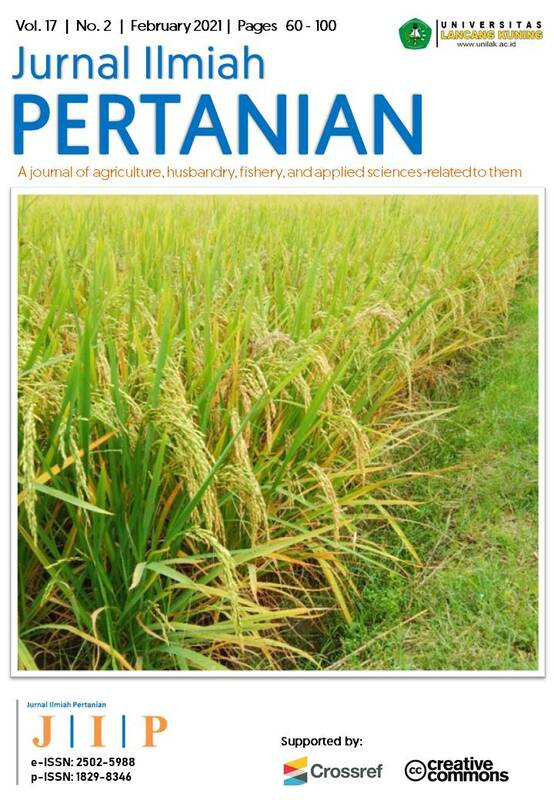 Journal Niara has been accredited by National Journal Accreditation (ARJUNA) Managed by Ministry of Research, Technology, and Higher Education, Republic Indonesia since year 2018 to 2022 according to the decree No. 34/E/KPT/2018. Jurnal Hukum Respublica ((ISSN 1412-2871; E-ISSN: 2615-6733) is a scientific journal for the field of legal science such as Civil Law, Criminal Law, Commercial Law, Constitutional Law, International Law, State Administrative Law, Adat Law, Islamic Law, Agrarian Law, Environmental Law, etc . 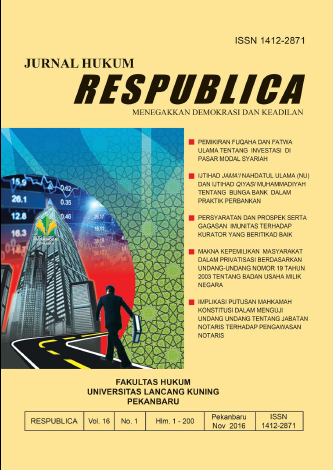 Published by the Faculty of Law Universitas Lancang Kuning Pekanbaru, this journal published twice in Mei and November. The publication of this journal aims to be a medium for legal scholars and practitioners to contribute their ideas resulted from legal research. 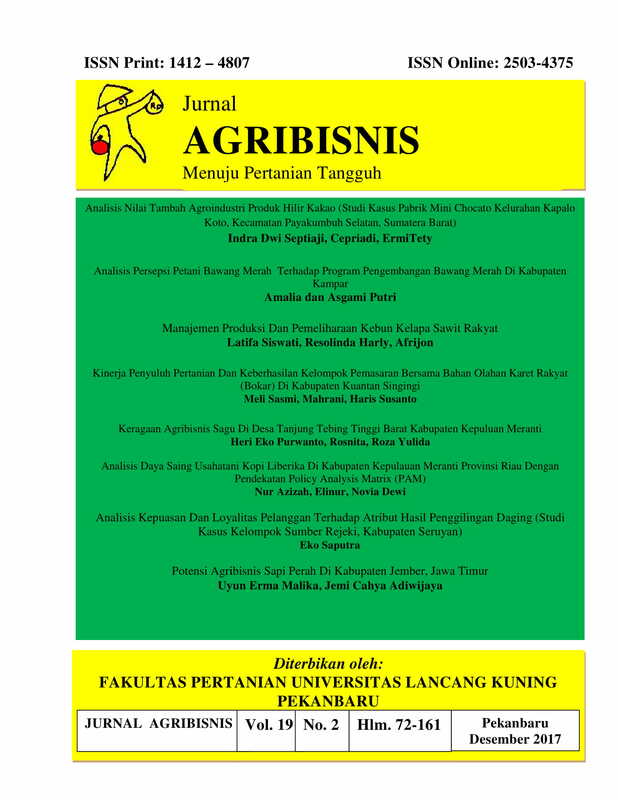 Jurnal Agribisnis terbit dua kali dalam setahun yaitu pada bulan Juni dan Desember dan memiliki ISSN (Print) 1412-4807 dan ISSN Online : 2503-4375. Digital Zone: Jurnal teknologi informasi dan Komunikasi has been accredited by National Journal Accreditation (ARJUNA) Managed by Ministry of Research, Technology, and Higher Education, Republic Indonesia since year 2019 to 2023 according to the decree No. 10/E/KPT/2019. 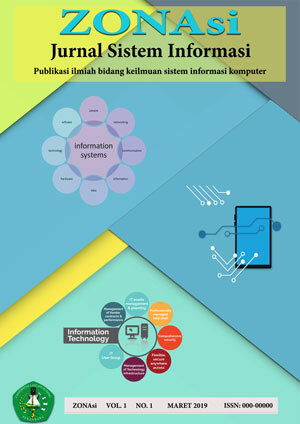 Jurnal Ilmiah Ekonomi dan Bisnis (Online ISSN: 2442-9813 | Print ISSN : 1823-9822) published by Universitas Lancang Kuning. This journal published thrice in March and September. It contain the articles such as scientific papers (research and non-research), analytical studies, theoretical applications and reviews of economics, management and accounting issues. 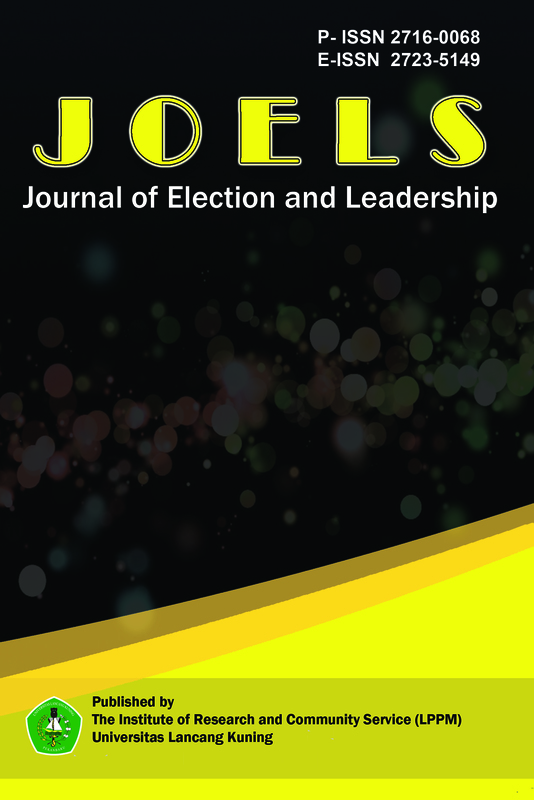 The publication of this journal aims to increase the quantity and quality as well as its spread with the science of communication among the intellectuals, practitioners, students and observers of management problems. 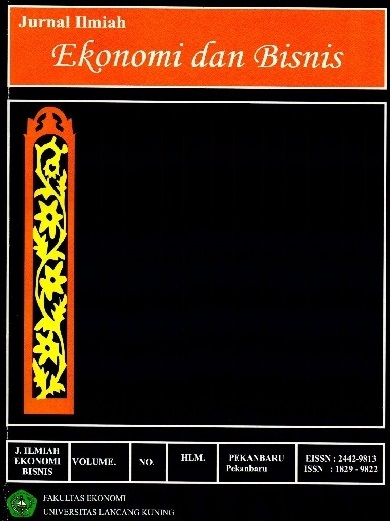 Jurnal Ilmu Budaya (ISSN 2540-7651; E-ISSN: 1829-8338) is an international journal published by the Faculty of Humanities, Universitas Lancang Kuning and published twice a year. It specializes in humanities, library science, philology, literature, cultural studies and current issues on the subject. This journal warmly welcomes contributions from scholars of related disciplines. Jurnal Ilmu Budaya has been indexed in Google Scholar. 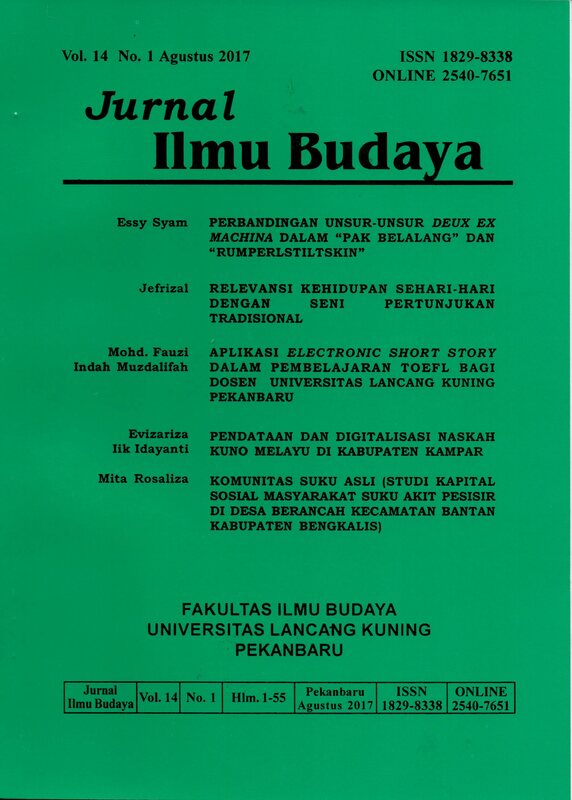 Jurnal Pustaka Budaya (pISSN: 2355-1186 | eISSN:2442-7799) published by Universitas Lancang Kuning since 2014 and published twice a year (14 articles per year). The subject covers, but not limited to, textual and fieldwork research with various perspectives of library and information science, literatur, culture, archive, humanities, and many more. This journal not only only served as a scholarly forum for the lecturers and professors at the Universitas Lancang Kuning, but it also invited scholars and researchers outside the university to contribute. This journal contains articles on building architecture and built environment. Posts will be prioritized to the Malay architecture of building, conservation and revitalization of the area. Posts about the environment will be prioritized to urban, tourism and green architecture. 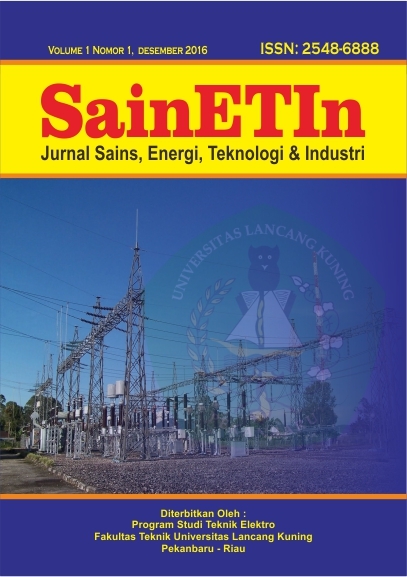 SainETind Journal is a scientific journal published by Electrical Engineering Department, Faculty of Engineering, University of Lancang Kuning Pekanbaru as a publication of scientific / research in science, energy, technology and industry. Published twice a year in December and June. 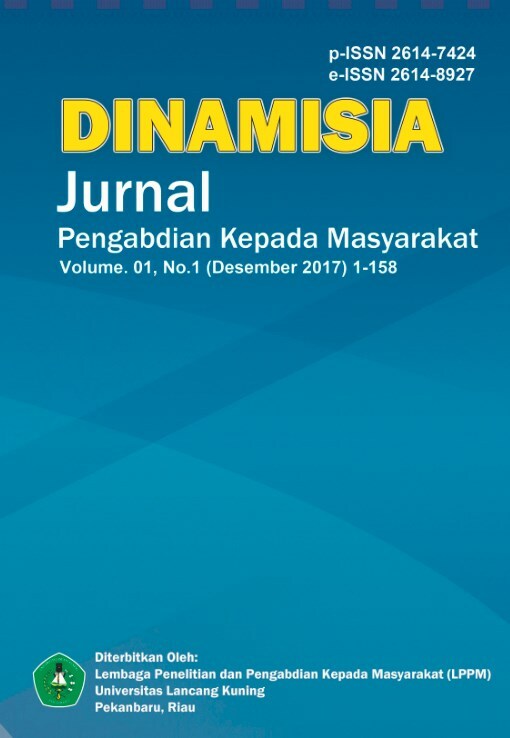 Jurnal Gagasan hukum diterbitkan oleh Prodi Magister Hukum Universitas Lancang Kuning sebagai salah satu sarana komunikasi ilmiah bagi mahasiswa Prodi Magister Hukum Universitas Lancang Kuning yang bertujuan untuk mendorong, menciptakan iklim kecendekiawanan serta mempublikasi hasil kegiatan yang memenuhi persyaratan ilmiah baik di Prodi Magister Hukum Universitas Lancang Kuning dan masyarakat ilmiah pada umumnya. Jurnal Gagasan Hukum juga merupakan sarana bagi akademisi, praktisi serta pemerhati hukum untuk berkontribusi melalui ide atau pemikiran alternatif yang berkenaan dengan perkembangan ilmu hukum dan penerapannya serta mendokumentasikan gagasan-gagasan alternatif dari masyarakat ilmiah tentang pembaruan hukum di Indonesia.